Disclosure: This post contains some affiliate links. Thank you for your support of my blog. The Mister and I decided that since we graduated from Financial Peace University, it no longer made sense to write weekly updates, so I’m shifting to a monthly check-in. Our class ended the weekend before Thanksgiving; so, December was our first month with no training wheels. You might recall that when we wrote out our December budget, there wasn’t much wiggle room. The Mister said the month felt “tight around the collar.” In fact, I mentioned in my post about preparing for the holidays on a budget, that we only had $43 to pay for Christmas initially. Another budgeting fail – we forgot to budget for gas for the cars. Between the side hustles and winning a few gift cards from some blog opportunities, we were able to pay cash for Christmas and make up for the missing budget item of fuel for the car. I also received a few reimbursements at work that allowed us to completely pay off another item on our debt snowball. We finished up our January budget last night and have started sinking funds for several irregular bills so they won’t just deplete the budget in the months they are due. 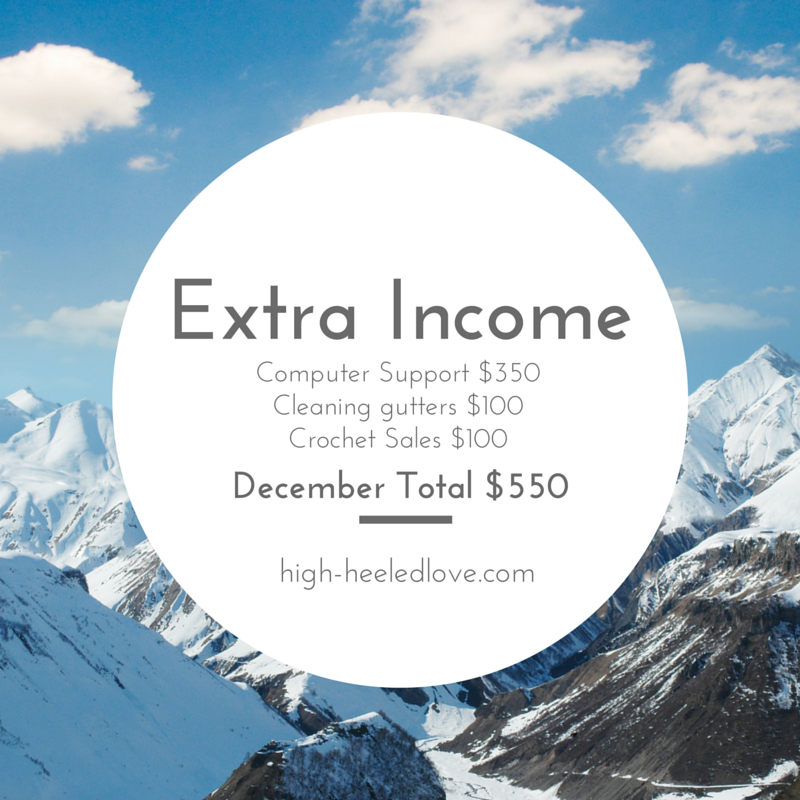 Since we started our journey in September, we have paid off five accounts, totaling $1950. We have also set aside our baby emergency fund as well as started a savings fund toward taxes. Also, I have taken on the role of accountability partner for a couple close friends who want to start working on their debt snowballs. I’m really excited to help them as they change their financial futures. 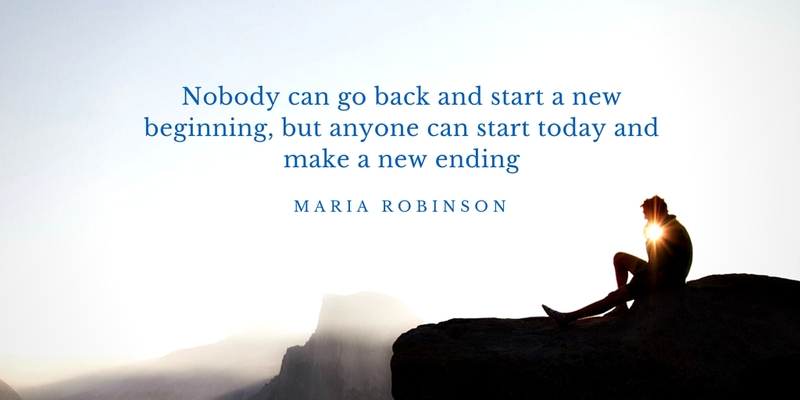 Do you want to get started on your journey to financial peace? I’d suggest reading The Total Money Makeover or going to daveramsey.com to find a local Financial Peace University class. As you look back at December and 2015, what financial accomplishments are you most proud of? 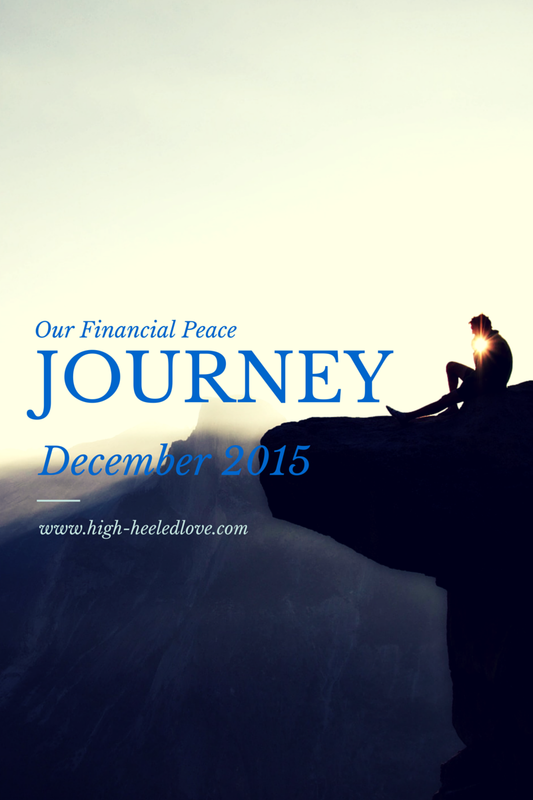 What are your financial goals for 2016?